I want to go to Dornoch. That’s the effect Lorne Rubenstein created, with his travelogue about a little place that’s physically remote but near to the hearts of golfers everywhere. Dornoch is a small town on the far northeast coast of the Scottish Highlands, at about the same latitude as Juneau, Alaska (one of the fun facts Rubenstein sprinkles throughout the book). It is also the place where golfers can play one of the finest links courses anywhere in the world. Rubenstein played Dornoch while in his twenties, well before he began his successful career as a distinguished golf columnist and writer. He and his non-golfing wife managed to figure out a way to spend a summer there, just after Tiger Woods’ stunning 2000 U.S. Open victory at Pebble Beach. Rubenstein takes the readers through the process of finding a place, renting it, furnishing it, and adjusting to living in a very different place than Toronto, his usual haunt. Those who have moved to a small town from a major city will find these parts of the book very familiar. This is, in fact, far more than a travel book. It’s one of the more deeply personal golf-related books I’ve read. It’s not an autobiography, but there are enough of its elements to give a fairly well-rounded portrait. For example, he writes about his travel experiences as a youth, including the time spent on an Israeli kibbutz, and shows the parallels between that experience and what he learns about Scotland. Rubenstein’s description of how he came to meet and eventually marry his wife may not seem appropriate to the book, at first. As it turns out, however, this nicely romantic tale helps explain why the two of them would be able to jointly appreciate this three-month adventure, so different from their usual existence in Canada and Florida. Life can be wonderful when you are married to your best friend. He doesn’t exactly say so directly, but the proof’s there in the recounting. Rubenstein’s fairly brutal about his own shortcomings as a golfer, as he plays Dornoch and a host of other courses. By comparison, however, for some readers the trauma of shooting up to a five-handicap seems like a problem they’d like to have. Still, his honest portrayal of his bad rounds helps make his points about golf and the search for personal improvement there and elsewhere. He also writes beautiful portraits of the people he meets and befriends in the Highlands. Thankfully, he doesn’t lapse into the kind of bad Scottish dialect that sometimes overcomes others when describing the Scots’ folkways and mannerisms. On the other hand, there were quite a few instances where a “wee dram” or two complemented a meal or late-evening gathering. But that’s okay; it’s just an integral part of the culture. I especially enjoyed the pace of Rubenstein’s writing. It helped create a sense of the relaxation that swept over him during his extended stay. It’s also one of the reasons I so highly recommend the book. 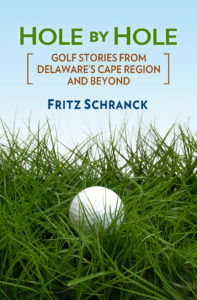 Readers with an interest beyond golf will also be impressed with how Rubenstein discusses the painful history of the area. The Clearances of the nineteenth century, in which thousands of tenant farmers were forced off the land and eventually left Scotland, is a searing part of the chronicles of the Highlands. It is reminiscent of the diasporas forced upon many other peoples throughout history, in Europe and elsewhere. Rubenstein writes movingly about this part of Dornoch’s history, which remains as much a part of the community as the links. I’ll go to Dornoch myself someday. In the meantime, I can visit there again the next time I pick up this fine book.